Home / Uncategorized / Japan 2019: Brazil and Argentina are qualified! Japan 2019: Brazil and Argentina are qualified! 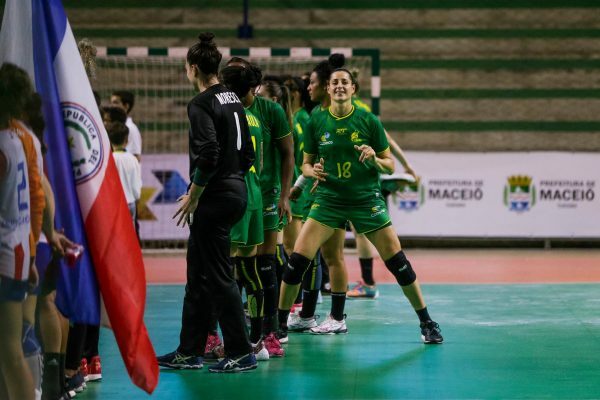 In the paradisiac city of Maceió, in northern Brazil, both the host nation and Argentina have won all respective matches so far in the South and Central American Championship and have qualified for the next World Championship to be hosted in Kumamoto in 2019. The strongest countries on this side of the globe will define the title this evening when they face each other at 23:00 (+1 CST). Both teams have won all three matches played so far in a championship that only has 5 participants, due to the last-minute withdrawal of Colombia, which would’ve been the 6th team. The hosts, conducted by Spanish Jorge Dueñas, obtained victories against Uruguay (9-28), Chile (39-9) and Paraguay (17-40). The Argentinians, starting a new era under the command of the men’s national team former coach Eduardo Gallardo, have also won against those rivals, with the following results: Paraguay 28-26, vs. Uruguay 25-31, vs. Chile 30-17. The Brazilian squad can rely on the experience of World class players of the likes of Eduarda Amorim, Bárbara Arenhart and Deonise Fachinello, while Argentina also has a big number of players who are currently having their European experience, mainly in Spain. Their last encounter was on last year’s Pan American Championship in Buenos Aires, when the 2013 World Champions stormed the host team with an impressive 38-20. It was one of the most uneven results in the past few years, given that Argentina had achieved a number of results that had shown a clear improvement. The ‘albicelestes’ had even obtained an impressive tie 23-23 during the South American Games in Santiago de Chile, only moths after Brazil’s historic World Championship title. 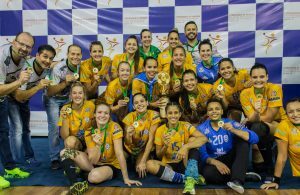 While this is the first edition of the South and Central American Championship, it would be Brazil’s 11th continental title, while for Argentina, it’s all about dethroning all-time rival and obtaining their second continental title. Their only victory against the ‘verdeamarelas’ was un Chile 2009, where they won the final by 26-25. The South and Central American Championship is one of the two tournaments that qualify for Kumamoto 2019 in America. The continent used to be represented in the IHF by the Pan American Federation (PHF), but it was recently divided into two federations; one being the South and Central America Handball Confederation (SCAHC) and the other North America and the Caribbean Handball Confederation (NACHC). One more team will qualify for the World Championship, and it will come from the NACHC.